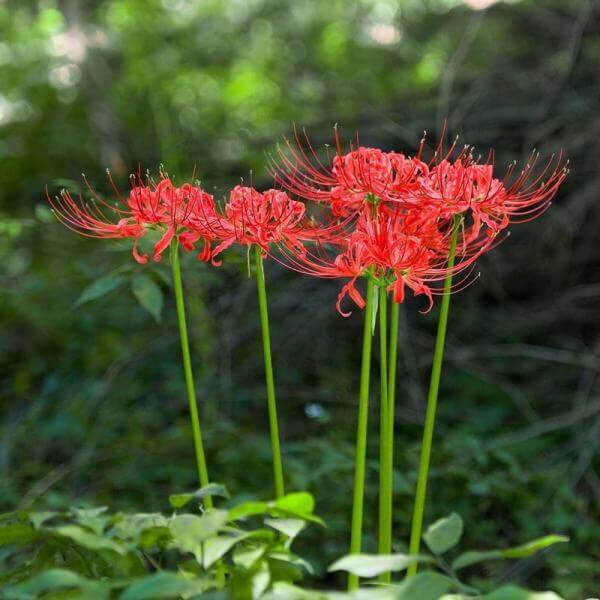 Red Spider Lily (Lycoris radiata) a bulbous perennial, flowering houseplant. It normally blossoms before the leaves fully appear, on stems 12 – 28 inches tall. The leaves are parallel-sided, 0.20–0.39 inch wide with a paler central stripe. The red blooms are arranged in umbels. Individual blossoms are irregular, with narrow segments which curve backward, and long projecting stamens. Lycoris radiata is poisonous, so keep it away from children and pets. Common Names: Red spider lily, Red magic lily, Equinox flower, hurricane lily, Resurrection Lily. 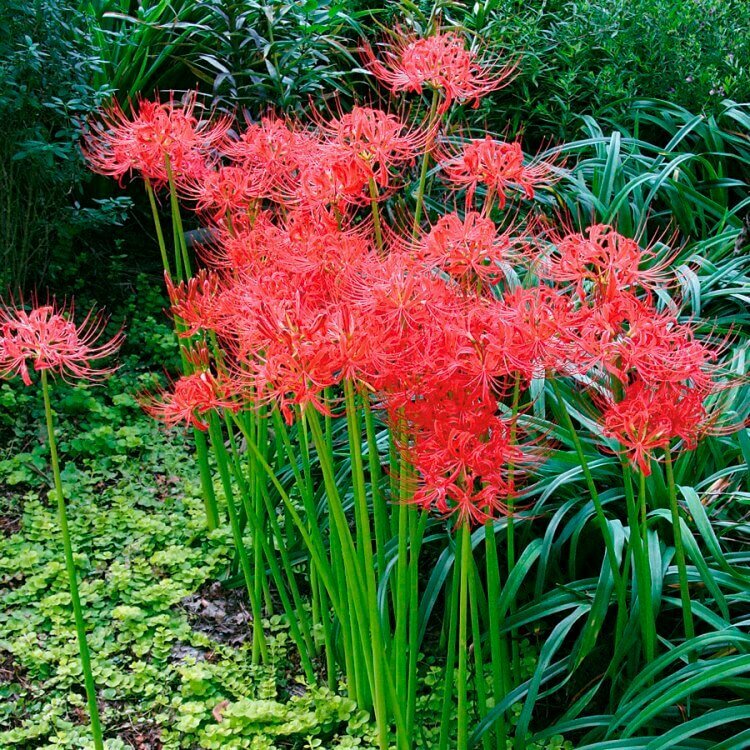 Red Spider Lily requires bright light to partial shade. It prefers well-drained, peat moss based potting mix. It thrives well in average room temperature 60°F-75°F / 16°C-24°C. Water thoroughly while the plant is growing and blooming. Use a pot with a drainage hole and empty drainage tray because these bulbs may rot if kept wet. Gradually decrease water after blooming, maintaining barely moist soil in spring and summer. Fertilize every 2 weeks in spring and summer with a balanced liquid fertilizer diluted by half. It can be easily propagated by division of bulbs. Isolate offsets from the parent bulb in spring and pot them up. Water newly potted bulbs sparingly for the first month or until the point when you see new growth. It has no serious pest or disease problems.